“The new legislation works excellently,” says researcher Ingólfur V. Gíslason, Associate Professor at the University of Iceland. “Both parents are now active with childcare. The law has had a positive effect on gender equality in the labour market,” he continues. Iceland’s new parental leave legislation came into effect in the year 2000. Nine months of leave would be divided between the parents, with three months earmarked the mother, three months for the father and the remaining three months open for both to share between them. The parents were free to decide exactly how to organise their leave. Iceland’s new system was revolutionary when it was implemented. 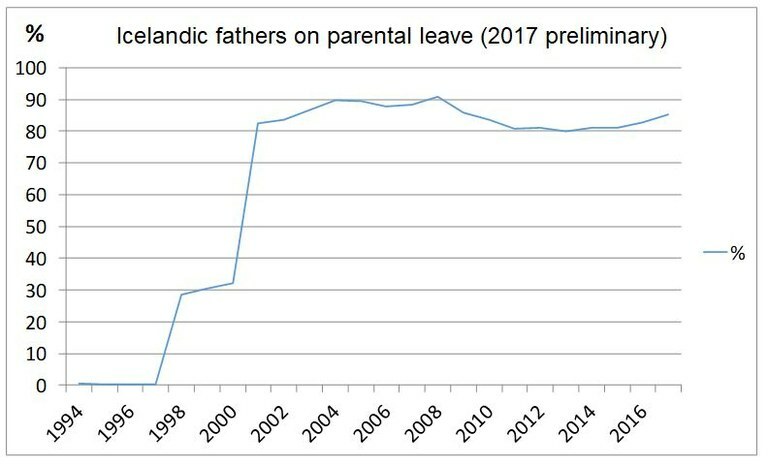 Both Norway and Sweden had introduced daddy leave, but it was not as long as in Iceland. If the father does not take all his due leave, it is lost for both parents. “Surveys show there has been a radical change to childcare since the new legislation was introduced. More and more share childcare evenly,” says Ingólfur. The rules say mothers must stay at home during the first two weeks after birth and fathers must take three months, but beyond that the parents can decide how to divide up the leave themselves. They can stay at home together for the duration of the leave if they so wish. Surveys in Nordic countries show that the father often ends up simply assisting the mother if he never gets to be alone with the baby. The same is the case in Iceland. “Daddy does what mummy says. From a gender equality perspective it is desirable for the father to have the chance to be alone with the baby for a few months,” says Ingólfur. He and other researchers have been interviewing young families. These interviews show that when a father spends time alone at home with his children, his independence and position when it comes to childcare improves. There are many advantages with fathers staying at home together with the mother too. “I think we might be missing a group of fathers who won’t take paternal leave if they are forced to stay at home on their own,” says Ingólfur. “The mother is usually in charge of care when both are at home. But it is good for a father to see just how much work it is to take care of a baby,” he says. WHO research shows that Icelandic daddies enjoy the strongest position as fathers in the world. The organisation asked how easy it is for the child to go to its father with a problem. Compared to earlier generations, today’s Icelandic children answer to a much larger degree that it is easy to discuss problems with daddy. Icelandic mothers have always enjoyed a strong position, according to the WHO. The fathers’ improved position has not impacted negatively on mothers, even though the fathers’ opportunities have increased many times over. 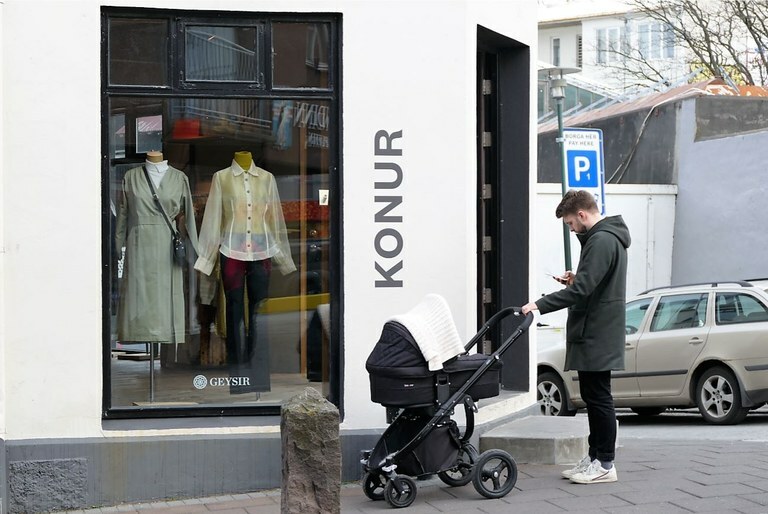 “The Icelandic parental leave act is an unusually good example of how a piece of legislation can change one group’s position and change the way people act. But this also stems from the fact that fathers really want to take time off with their children,” points out Ingólfur. Icelandic fathers are active caregivers and contribute in that way to more gender equality in the labour market. But Iceland has a shortage of nursery spaces. Children do not get a space until they are around 14 to 16 months old, and mothers stay at home until their children get into nursery. This could be about to change, however. 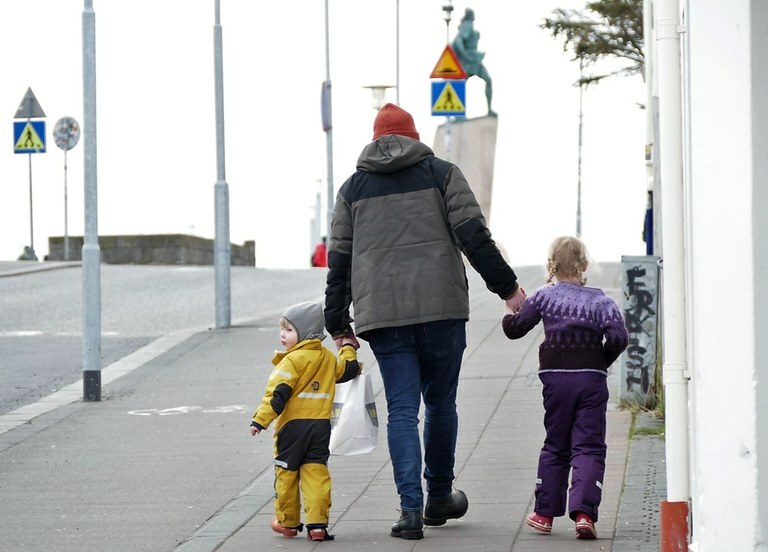 Iceland’s government has decided that parental leave should be extended to 12 months. The change is planned to be introduced between 2020 and 2021, but details are still to be sorted out. “It would be fantastic if there was to be five months for the mother, five months for the farther and two months to share, or a 4 – 4 – 4 months’ division. The latter would good, but not quite as good as 5 – 5 – 2. It will be exciting to see how this pans out,” says Ingólfur. Globally, the mother usually takes the parental leave which can be divided freely between the parents. There are reasons for this, for instance breast feeding. There is enormous social pressure on Icelandic mothers to stay at home for at least six months or as long as possible. Icelandic mothers who only take three months while the fathers take six months, have experienced prejudice from their surroundings. “They have been told they are not good mothers if they don’t stay at home. It is not that people don’t trust the fathers, it is just the prevailing social attitude that mothers should stay at home,” explains Ingólfur. He is optimistic about the future. If there is an increase in parental leave to 12 months and if children get nursery spaces earlier, he thinks Iceland will have come as far as it can when it comes to legislation and social change. All that remains is a change of mentality. He believes attitudes will change rapidly. One of the PhD students at the University of Iceland interviewed young Icelandic men about masculinity and femininity. Ingólfur found it interesting that the young men, who were not yet fathers, talked about paternal leave and childcare participation as being a natural part of masculinity.